For more information, call 305-361-6767 or email mermaids@biscaynenaturecenter.org. 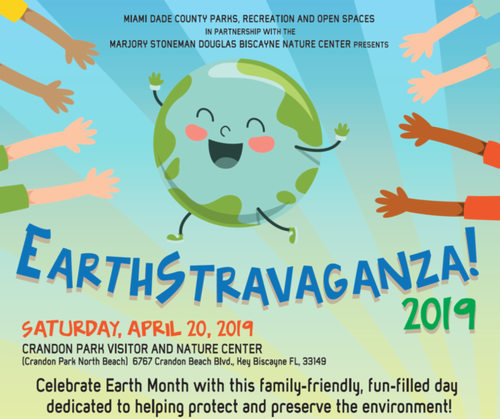 In partnership with Marjory Stoneman Douglas Biscayne Nature Center, this fun-filled, family friendly day is dedicated to helping protect and preserve the environment. Start the day by participating in the Youth Service Earth Fest volunteer project and clean up the beach, restore the sand dunes, and enhance a butterfly garden. Starting at noon, visit the Eco-Village for nature tours, plant sale, art exhibit, water-sports equipment rentals, arts & crafts, live music, and refreshments for sale. The day culminates with a Mermaid Parade on Historic Crandon Park Beach Promenade, a 1.5 mile parade to raise awareness on the importance of protecting our oceans.